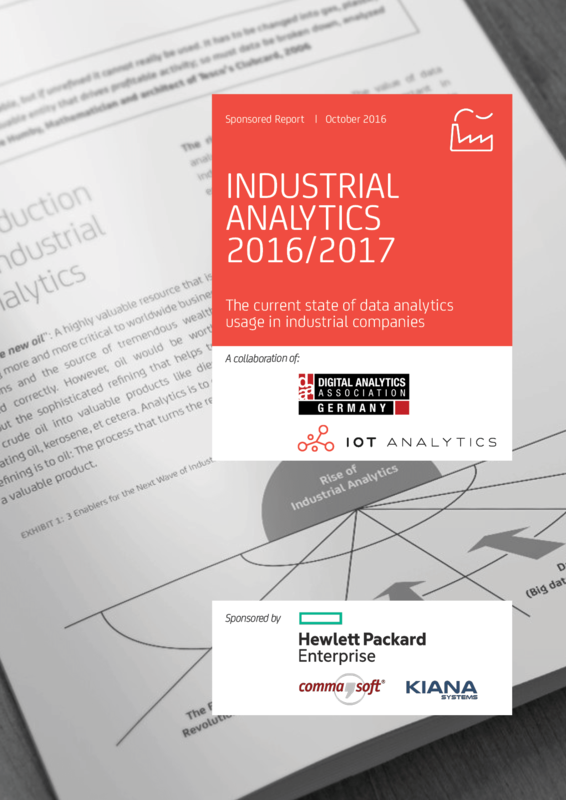 Report Value $999 – Download For FREE thanks to the sponsors Hewlett Packard Enterprise, CommaSoft, and Kiana Systems. 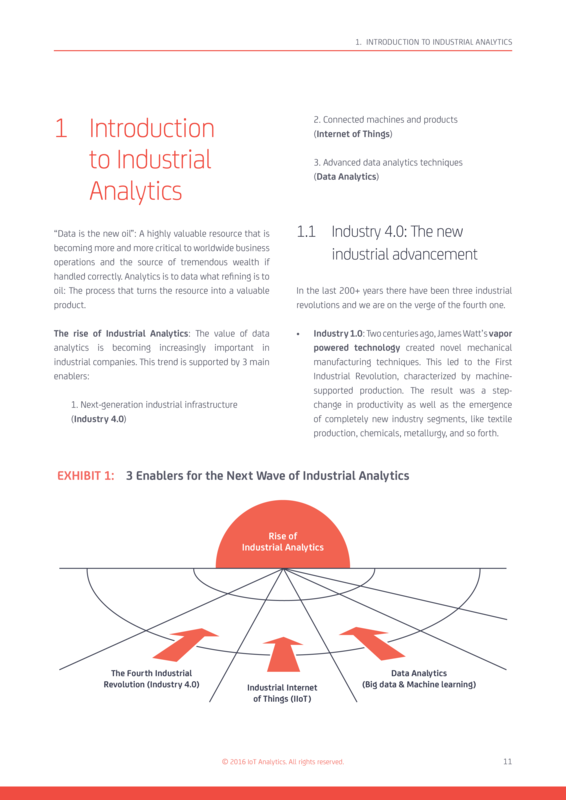 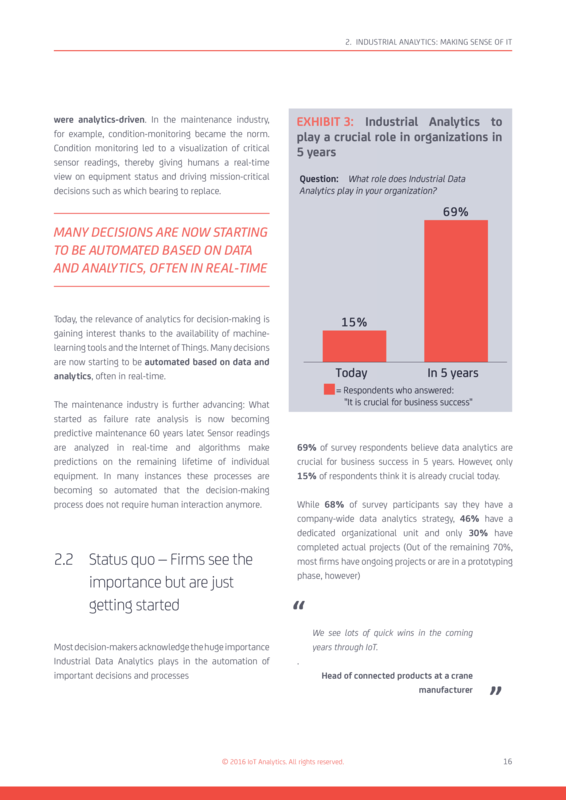 The report analyzes the current state of data analytics in industrial settings. 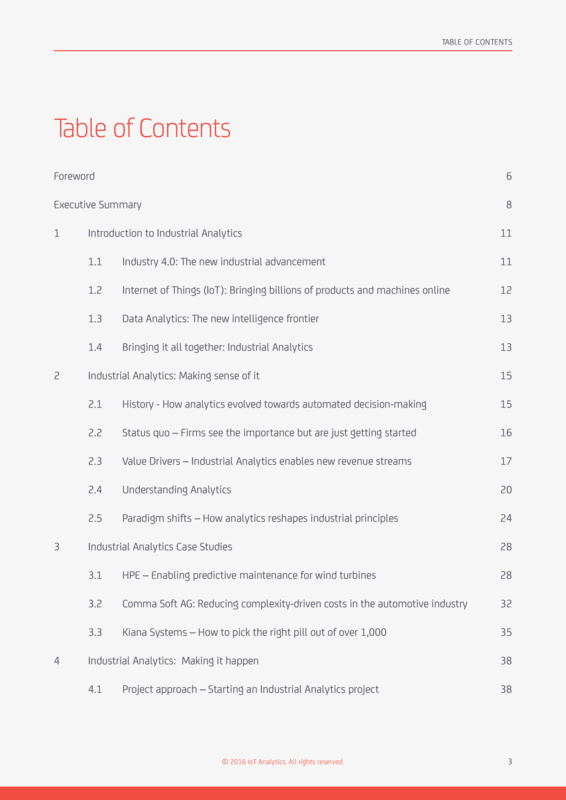 It highlights the results from an in-depth industry survey of 151 analytics professionals and decision-makers in industrial companies, provides a deep-dive into key topics such as machine learning or IoT-based analytics, and showcases 3 prime case studies of applied analytics in the industry. 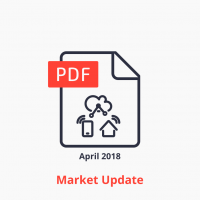 Click below to download this comprehensive 50+ page report for free. 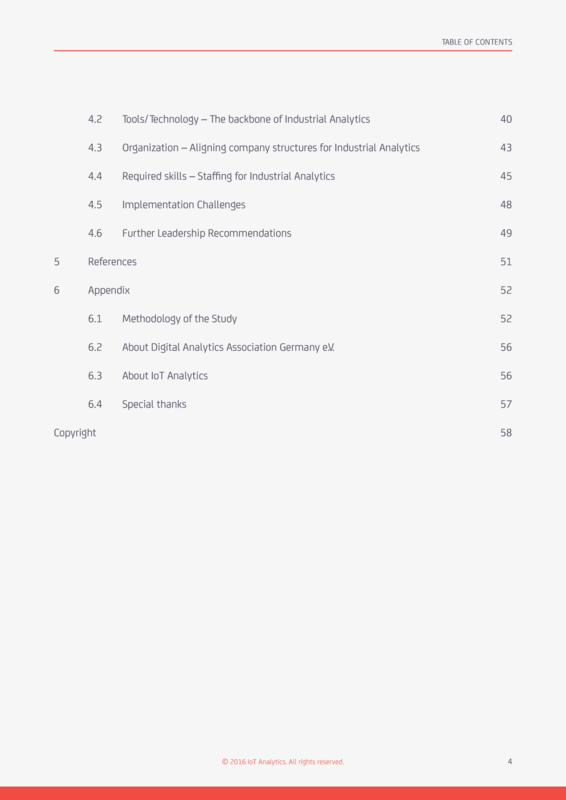 The report aims to steer industrial decision makers through the challenging process of developing analytics-based applications in industrial settings.